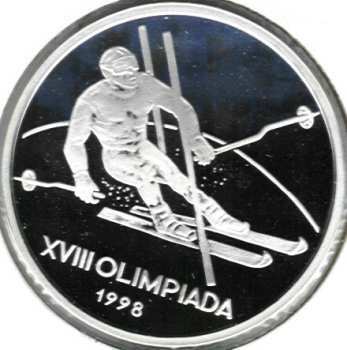 The Nagano set comprises three silver coins. 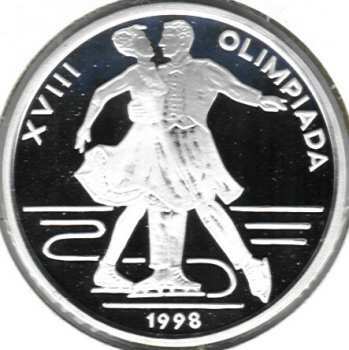 The obverses are common to the entire batch that is supposed to mark the 18th Winter Olympiad. 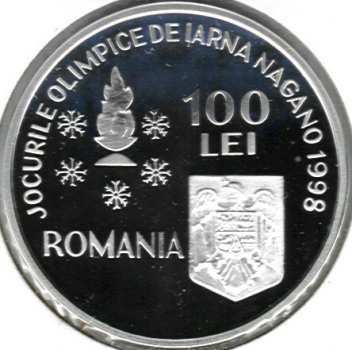 It is quite embarassing that Romanian coins struck by the Bucharest mint fail to comply to the basic simple ortographic rules, missing out all diacritical signs possible. The same apllies to most state institutions in Romania. 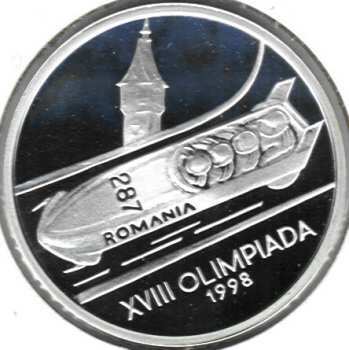 The silver coins pictures above are present on Romanian coins through the kind permission of an anonymous donor.